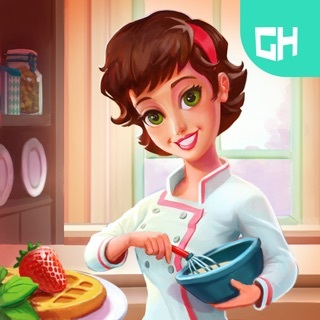 In Diner Dynasty you begin in your own kitchen, making and selling breakfasts, pizzas, and ice cream sundaes. 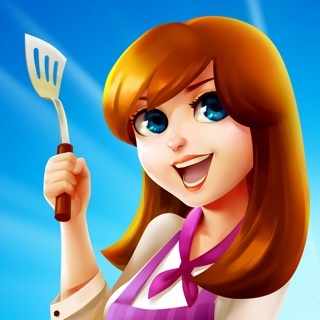 Tap to sell meals and earn money. Keep tapping to sell more. 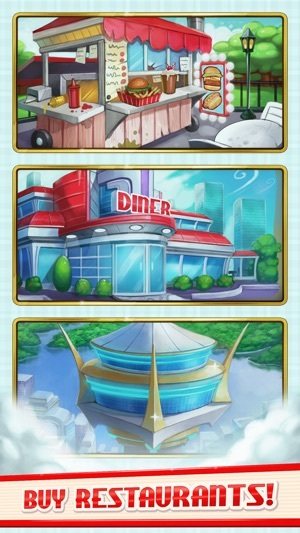 When you’ve made enough money, you can buy your very own diner! 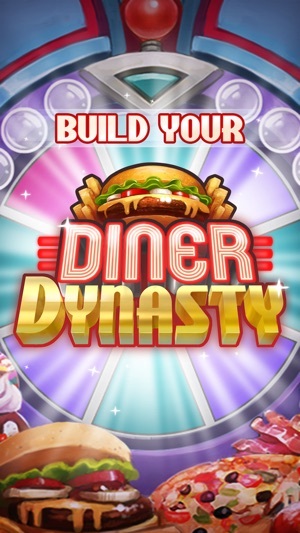 Keep playing and keep tapping to build out your Diner Dynasty with food trucks, 5 star restaurants and more! 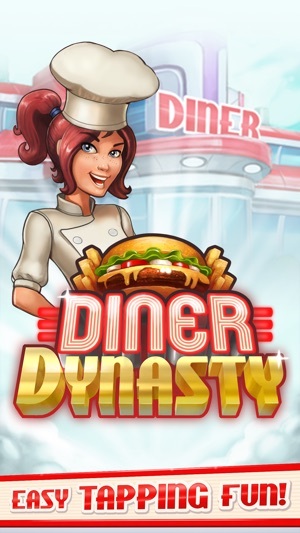 Diner Dynasty is endless hours of delicious fun! • Increasing profits even while offline! Add menu items to increase your income and attract more shareholders. Have your shareholders buy amazing perks to help your Restaurants become a sprawling modern Dynasty! 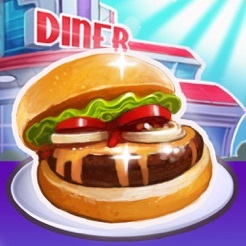 Diner Dynasty is free to play but offers some game items for purchase with real money. New daily reward! Come back every day for cool bonuses! Fixed a bug which occasionally stopped earnings being awarded when returning to the game. 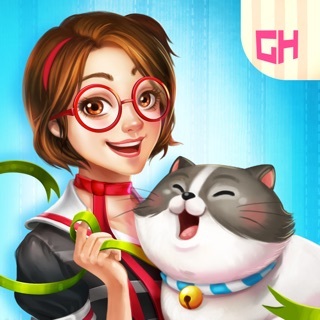 I wasn't too sure what the game was at first, but it sounded interesting so I downloaded. The first time I played it took a minute to catch on (because it was not the type of game I was expecting or experienced with), but I caught on pretty quickly. It then became super addictive! I've been playing it every day for over s month now. 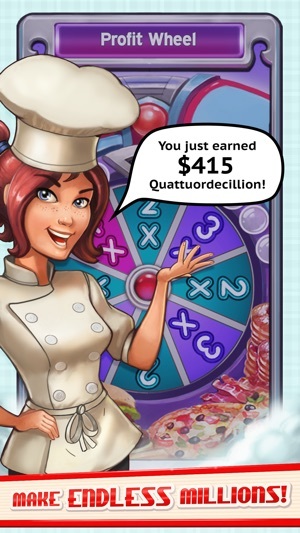 The best part is you can stop playing for a while, but you can pick right back up as your businesses continue producing money! Highly recommend. 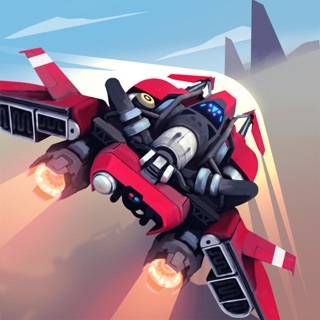 Great game, needs update badly. This is a great 'time waster' for people looking to kill time. I spent many days on this game, but I seem to have hit a wall at the 5 star restaurant. 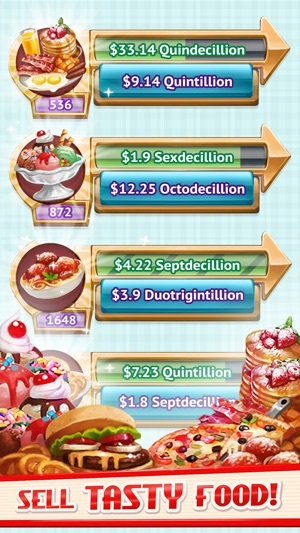 The only way I have been able to gain progress is to not bother opening the game for almost a week so that I can either make enough money to level up my food or get enough shares to try to increase my bonus. I really hope they update soon because I have gone as far as I can go without spending money. I have played this game for months now. It becomes very boring when you are at higher levels. It takes so long to get enough money to do anything. I have reset the game once because I got bored with it. I understand that it is part of the game but when it takes 12 hours to earn enough money to upgrade anything. I know my note will not make any changes but I feel that I should at least try to bring awareness. Thank you for your consideration.